Construction Scheduling. Impacts of Unrecognized Owner Delays! 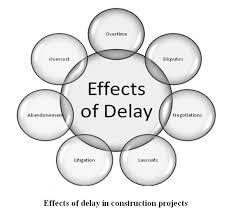 As construction scheduling professionals, we’ve all worked on projects which have been impacted by an owner delay which was not recognized as valid by the owner. Unrecognized change in the owner’s program resulting in a change to the contract scope of work and design. Unrecognized unforeseen condition which changed the geotechnical design or suspended the project until remediation work could be completed. Unrecognized specification or drawing ambiguity or omission resulting in additional or changed work. Unrecognized delays for owner operations not included in the bid docs. What types of schedule delay events have you seen? How did you, as a construction scheduling professional manage them? How did the project team manage them? I’m interested in hearing your stories! Author P. EppersonPosted on March 22, 2016 Categories Schedule ManagementTags Construction Project Scheduling, Delay, Owner, Project Management, Schedule Management2 Comments on Construction Scheduling. Impacts of Unrecognized Owner Delays! Scheduling Consultant. Why would a Project Owner need a Professional Planning and Scheduling Consultant? Isn’t the Contractor Responsible for the Schedule? 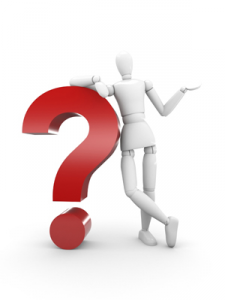 It is surprising that many project owners don’t obtain any assistance with managing the general contractors’ schedule. They have PM’s on staff who look at the Gantt Charts and perhaps ask about milestone completion dates or basic duration or logic details. Universities, financial and medical groups usually employ a Construction Manager as Agent (CMa) to help with very large projects; other times they choose CM at Risk as the project delivery vehicle. Only they don’t have anyone as their schedule advocate after the project goes to construction. Or if they have medium and small projects, they don’t employ any CM assistance with at all. The Gantt Chart is not much value to the owner if they don’t know how the schedule settings and calendars and logic are set up. Most PM’s on the owner’s team don’t have the background, training or experience to look at the schedule and check these. They really need someone to help them review the schedule development and update process to work as their advocate. That someone is a Professional Planning and Scheduling Consultant. Without having the ability to open the schedule and analyze the settings and data, the owner has no way of validating the schedule as presented. While contractors don’t intentionally produce schedules that do not meet the contract requirements, it happens all too often. The only way to know is to have the training, experience and ability to analyze the schedule file. The owner really needs to know what the schedule calculations are set for. Is it retained logic or progress override? How is the “critical” path determined? By longest path or a total float value? Are calendars established, and if so are they assigned to activities? What type of percent complete is selected? What type of activities are in use? Are there lags in use? All of these settings and selections impact how the schedule calculates. The owner should have specified requirements for these, and other items. The owner also needs to be able to check these. The contract typically requires the use of a minimal set of activity codes. If it does not, the contractor should include at least a few activity codes for their own use. There is no reason the owner can’t use these activity codes to help group, filter and sort the schedule activities for their own use in analyzing the schedule for resource usage, area congestion, and activities specifically coded to the owner for responsibility. The owner can always request this from the contractor, but why shouldn’t the owner be capable of performing these tasks? Even if it is through the use of a professional scheduling consultant. That way they know exactly what the filter, layout, and grouping is set for. And finally, why can’t the owner use the most recent update to run “what if” scenarios? Perhaps, in addition to creating a preliminary cost estimate for a potential change order, the owner creates a draft fragnet and adds it to the schedule to see what the potential time impact could be? This would certainly help with documenting and supporting the business decision to issue a request for proposal for a change order. How many times has an owner issued a request for proposal only to determine the price or schedule impact is too great after the contractor develops their proposal with time and cost included? This just wastes the contractor’s resources, often results in the contractor holding the start of the work being changed to prevent rework, and allows the owner more control over the project’s change management. This is a simplified version of the topic of owners using a scheduling consultant or CMa services for schedule oversight and intended only to create thought and discussion of the issues surrounding this topic. Many owners aren’t aware of the benefits which having the ability to really analyze the schedule will provide. They have gotten by with looking at Gantt Charts so far, why should they change now? Please visit https://conschmanservices.com to learn more about basic schedule concepts. Author P. EppersonPosted on February 19, 2016 August 13, 2018 Categories Scheduling ConsultantTags Construction Project Scheduling, Construction Scheduling Services, CPM, CPM Consultant, CPM Schedule, CPM Schedule Consultant, Owner, Periodic Reporting, schedule consultant, Schedule Development, Schedule UpdateLeave a comment on Scheduling Consultant. Why would a Project Owner need a Professional Planning and Scheduling Consultant? Isn’t the Contractor Responsible for the Schedule?